I am curious whether it is antique and if so what age it might be. 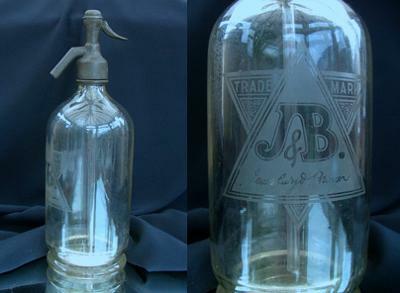 The glass is etched with a large J&B inside a six pointed star or two triangles. The J&B has “Jewsbury & Brown” below it. There is also JEWSBURY & BROWN MANCHESTER etched near the base and on the metal top. It looks like IP20 or 1920 below the Jewsbury & Brown on the metal top. Love to know if it is 1920 or antique and if there’s a market for this king of thing.